Recently, the Mainsail Talent Team hosted a webinar led by Ray Martinelli, the Executive Vice President of People at Coupa Software. Ray began his career in Human Resources with Apple in the 1980s and has since built a track record for managing HR departments for companies growing from 100 to 1,000+ employees. 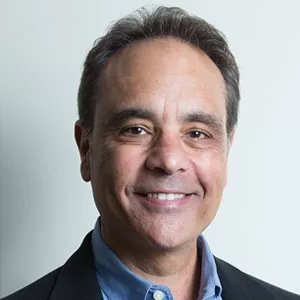 In fact, he’s done it three times, all at rapidly growing tech companies: Juniper Networks, Service Source and Coupa Software. In the webinar, Ray focused on three ways that growth-stage companies can utilize HR/Heads of People as leaders and growth facilitators. Define your values, then put them to work. Human Resources should take the lead when setting and implementing company values. At the onset of your growth, HR needs to be sure the entire company is aligned on its values and what those values mean, in a practical sense. To set that foundation, Ray suggests hosting a 1–2 day workshop with all of your company leaders. In addition to basic leadership training, interweave value training, and demonstrate how your values can play out in real scenarios. Limit yourself to a max of five. Employers should be able to remember and repeat them. It’s critical to have these meetings early on and establish clarity while you’re still small. It’s not going to solve all of your problems, but it will present a guiding principle for your employees, giving them a reference that can help them make calls. Once that foundation is set, build programs around it—everything from the performance review cycle to development initiatives to rewards systems should reinforce your values. Within a growing organization, it’s essential to acknowledge and talk about culture. Many small and scaling companies fall apart because their culture is mismanaged, and it doesn’t have to be that way. HR can, and should, be the leader that ensures a company’s culture works and thrives. Think of HR as a culture facilitator. It’s up to HR to gain clarity and agreement regarding culture from the executive level, and particularly the CEO, because their actions will be magnified within a small company. HR doesn’t “own” the culture; everyone owns the culture. HR’s role is simply to facilitate conversations around the topic of culture to ensure there’s clarity, buy-in and cross-departmental tools and programs that support it. It is a constant effort to develop and maintain company culture, help the organization understand its importance, and demonstrate how culture supports business objectives. In times of change, lead by communicating. Change management happens every day, particularly at a growing technology organization. When your company has grown 40 percent, it’s inevitable that everyone is experiencing a notable shift on some level. In times of change, HR should offer clarity and provide a platform for discussion. HR should train company leaders on how to facilitate discussion about change. Smart people thrive on information and the lack of it can lead to confusion and anxiety. The more you overcommunicate and set expectations, the more quickly your employees will regain a sense of purpose and will be able to work through the change. Not all change is gradual, of course, and M&A presents specific growth challenges. Often, the failures and successes of an M&A event depend on the way people feel during the integration. Make sure people understand what’s happening before it happens. Start talking about culture and values right away and continue to emphasize them. These are reference points that will orient your employees. And finally, remember you only have one opportunity to create a good foundation, and it’s early on. Invest in HR early. Define your values, exemplify your culture and allow HR to grow strategically alongside your business. And, if you do it right, HR can serve as a leader, supporting your company through rapid growth with strong values and culture that stand the test. Sign up now to receive exclusive content and best practices from Mainsail Partners. 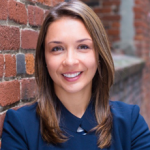 Emily is Vice President of Talent at Mainsail Partners and works with the firm’s portfolio companies on their talent needs, including executive leadership, recruiting, compensation and onboarding. Ray Martinelli is an Executive Vice President of People at Coupa Software. He has a proven track record of leading worldwide human resources initiatives for rapidly growing companies, with specialized experience in high-growth companies ranging from startups to $2B+. The content of this piece is a summary of a webinar. The views, opinions and statements contained in this summary are the author’s views, opinions and statements, and not those of Mainsail Partners. The opinions and statements contained herein that are not historical facts are forward-looking statements. Such forward-looking statements are based on current expectations, beliefs, assumptions, estimates, and projections about the industry and markets. Forward-looking statements contained herein are not guarantees of future performance and involve certain risks, uncertainties, and or forecasted in such forward-looking statements. Mainsail Partners is under no obligation, and does not intend, to update any forward-looking statements to reflect changes in the underlying assumptions or factors, new information, future events, or other changes. While the data contained herein has been prepared from information that Mainsail Partners believes to be reliable, Mainsail Partners does not warrant the accuracy or completeness of such information.